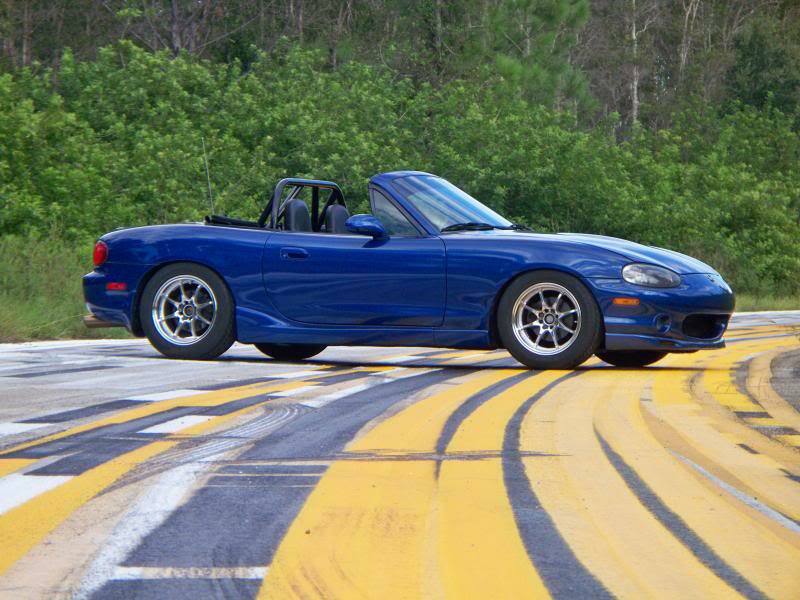 15x9 and 225/50/15 - Miata Turbo Forum - Boost cars, acquire cats. Hey i know there is already a few very vague threads on this. I have a set of varrstoen v1s which are out of production i think but i got a good trade for some other wheels i had that i wasnt very confident in. i think stretching a 205 will be unsafe so 225s it is. all the 225/45s are really expensive so i was wondering if anyone that is lowered has fit the 50s. my fenders were rolled and flared before i got the car(rather poorly especially up front and i have access to a roller if further work needs done). so my main concern is inside fenders and bumper clearance. i wanna stay sub $100 per tire thats why i ask. im broke at the moment. Last edited by 18psi; 05-10-2017 at 06:55 PM. +1, just in case you didn't trust 18psi. I ran 225/50/15's one time and it rubbed the top of the front wheel wells on bumps. It annoyed me enough I bought shorter tires. How bad it is will depend a lot on how low you are and how stiff your suspension is. Extreme drifting! Rims only brahhhh! okay thanks guys thats what i was looking for. sorry 18psi ive never been part of a forum before and it literally took me 10 minutes to find anything about posting and im not what one would call technologically challenged. i did a couple days of research but it was still fuzzy. im sorry im not trying to blow all my savings because i havent started my job yet im just a kid trying to do finances right even though my first mistake was modding cars. ill just wait and get some 225/45s and start saving for the next set cause 220tw is 200tw. You're not technologically challenged, but you can't figure out the different sections on a forum? Are you implying that the issue is literacy, or lack thereof? Well front desk seems to me like the area for general questions and it was a general question. where should i have gone? im sorry its so offensive to you guys that i posted in the wrong place. seems like a bunch of keyboard warriors on this sight. be mature. im assuming that you are grown men act like it and give me a hand here please. Thats why i got on in the first place. found it nvm. thanks pdexta for the help. I'm glad you came here so we could spoonfeed you information.